The end of the year is quickly approaching and we would like to remind you to take advantage of any unused insurance benefits and/or unused Flexible Spending (FSA) or Healthcare Savings (HSA) benefits that will expire at the end of the year. You have paid your insurance premiums all year, don’t let your benefits slip away before expiring at year’s end. The yearly maximum usually renews every year and if you have unused benefits these will not rollover! Your dental plan gives you a maximum of what can be spent on your dental care on an annual basis. This amount varies between insurance companies, and averages around $1000 per person per year. These maximums are typically reset at the end of the year, and if you have unused benefits, they will expire. 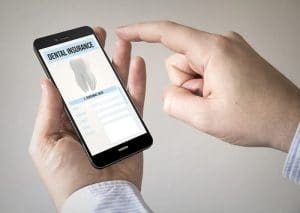 If you are paying for dental benefits, you should be taking advantage of them! This sounds simple, but there are many people that do not take advantage of using their benefits. Another reason to use your benefits now is because it is always possible that fees will be raised to accommodate for the cost of living or increased material costs. An increase in fees can also raise your copay. By delaying treatment, you may be opening the door for more extensive treatment to be needed in the future. What may be a simple cavity now can turn into a root canal or extraction down the road. Treat your teeth with care now, and they will thank you for it in the long run. We love to help our patients save money, so call Dental365 today at 844-365-DENTAL to schedule an appointment before it's too late!